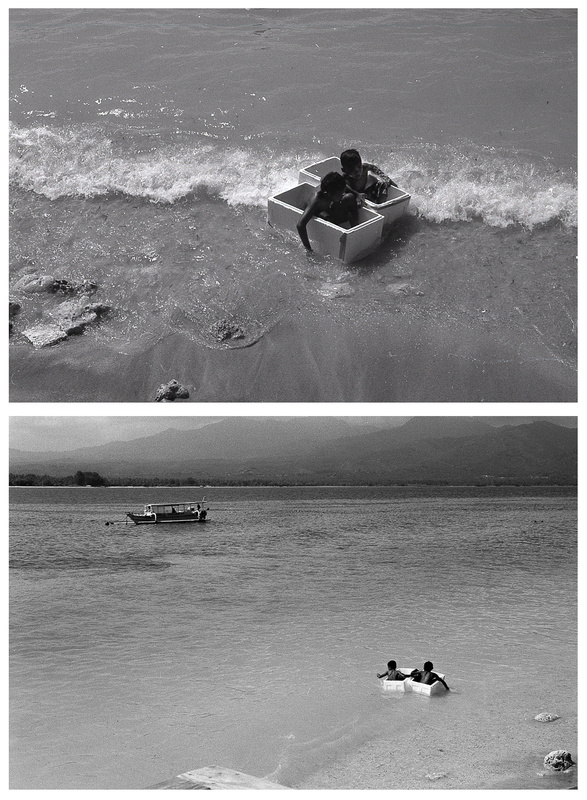 Two boys float in the sea in polystyrene boxes. Gili Air, Indonesia. Shot with Leica M6 on Ilford FP4+.